Just so nobody is confused (if you have been living under a rock for a while) - the Babylon Bee is a SATIRE site. Funny but not real. Isn't this an example of her GND? Those who will not work getting paid?? Snopes says its false. However, it just seems that Snopes defends her, but doesn't really show us that they proved it was false, just that it seems false in their opinion. However, AOC has taken a negative interest in credit scoring companies. Here are her financial disclosures. She has student debt. Of course she has proposed forgiving student debt. Bill Gates slams AOC tax policy. Interesting how this young woman is sucking all the air out of the room. In some ways kinda like Trump. If this keeps up we won’t know who the 2020 Dem presidential nominee even is. I have never been so ecstatic I chose to drop out of the official workforce when the GOP embraced the Unaffordable Care Act in 2017, after years of pretending to oppose it. No taxable income means no income taxes. No taxable income means I have more time to devote to things that reward me, instead of rewarding special interests. 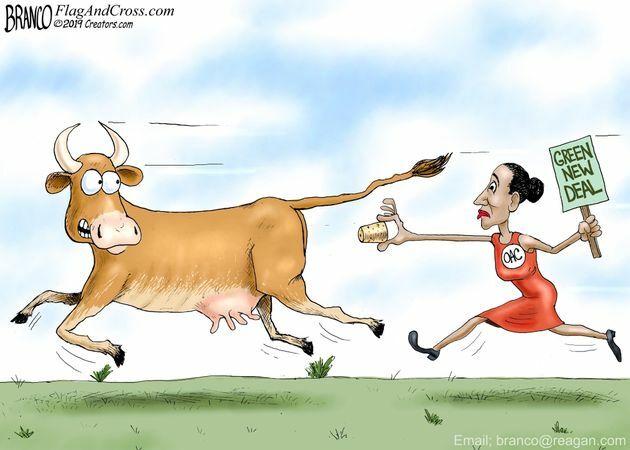 Now, no taxable income means I won't have to pay for AOC's Green Raw Deal. Plus AOC and the DNC now want to pay me not to work? Oh, happy day! California pulls the plug on high speed rail between SF and LA. What!! 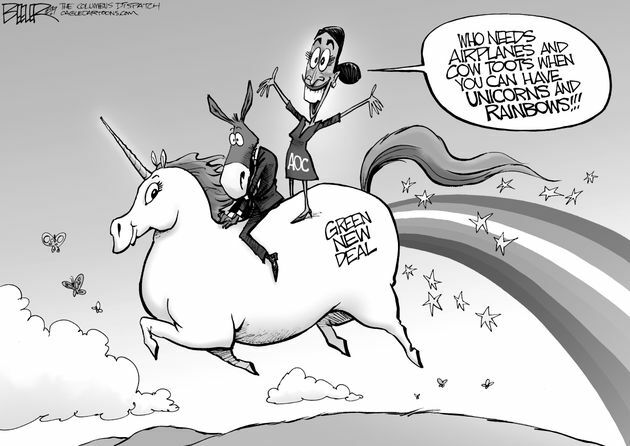 The signature part of AOC’s green new deal has been scrapped by socialist icon California and by a new Dem governor. Oh no! Will a single MSM source connect the dots. Amazon has second thoughts on its 2nd headquarters in AOC’s district after she criticized deBlazio and the Gov for the deal they made. Only the government creates jobs in her world. It’s hard not to smile. She's pleased NY isn't getting more six figure jobs and is pushing for more $15 minimum wage jobs. Only a complete idiot would think this is the best thing for her constituents. May have put boyfriend on govt payroll. Adapting to the swamp so well. Listening to Rush today out on a ride, he played an audio clip of AOC. That dingbat actually thinks NY saved $3B they were going to give to Amazon and wants to spend it elsewhere.